← Early 1967: Stop, Hey, What’s That Sound? 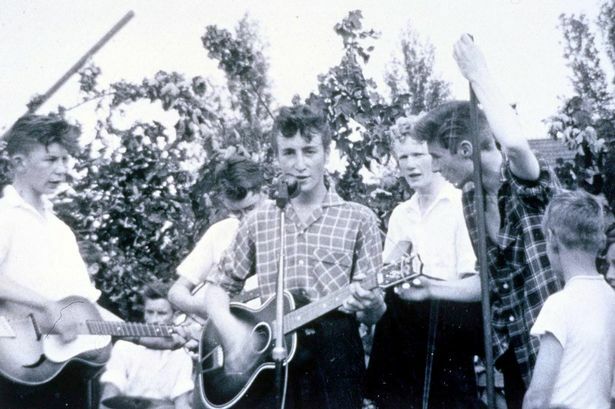 Pete Shotton (third from right) with John Lennon in the Quarrymen. Bill King looks back fondly on an evening of Beatles stories and more with the late Pete Shotton. It’s always sad to hear about another of The Beatles’ old Liverpool pals passing on, but I couldn’t help but smile when I got the word that Pete Shotton, John Lennon’s lifelong buddy, had died at 75, because I have my own fond memories of him. Shotton and Lennon during their school days in Liverpool. For those who might not be up on their early Beatles history, Pete was Lennon’s best friend from age 6. 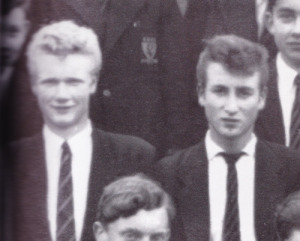 Shotton attended Dovedale Primary School and Quarry Bank High School in Liverpool, where he was a mischief-making classmate of John’s, and he briefly was a member of John’s pre-Beatles skiffle band, the Quarrymen, as a washboard player. Although Pete decided music wasn’t for him, he remained a part of Lennon’s life after The Beatles had left their hometown and become famous. 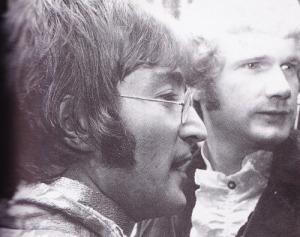 John bought a grocery store for Pete, later enlisted his pal as manager of the short-lived Apple Boutique on Baker Street in London, and made him one of the early directors of The Beatles’ Apple Corps Ltd.
Pete also was present when a number of Beatles songs were written, and even contributed the occasional idea that got used in the lyrics. Pete’s book, written with Nicholas Schaffner. 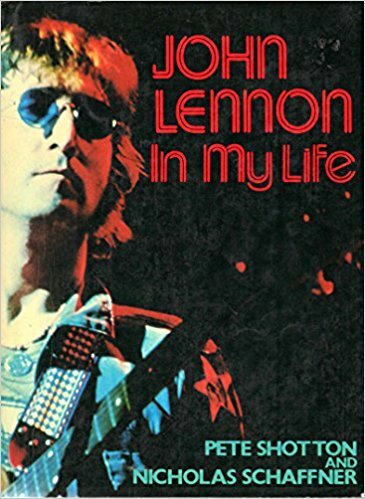 Their book, “John Lennon in My Life,” first published in August 1983, and later republished as “The Beatles, Lennon and Me,” was a frank but affectionate telling of Lennon’s life, spending a large amount of time detailing John’s pre-Beatles years, complete with boyish pranks, sexual escapades and earthy language. 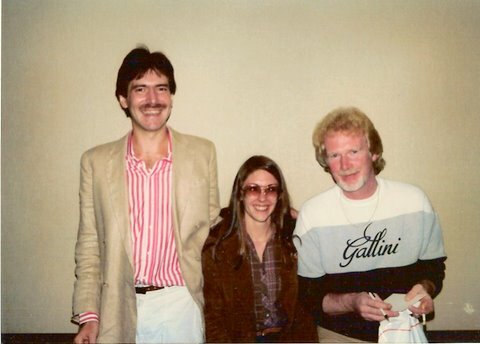 I had visited with Nick at his loft in New York City’s Greenwich Village during the time he and Shotton were working on the book, and Nick assured me I’d get to interview Pete for Beatlefan after it came out. So, when Shotton’s five-week tour promoting the book in the U.S. brought him to Atlanta that September, I spent an evening chatting with Pete. It was easy to see why Lennon liked Pete so much. The blond Liverpudlian, who was 43 at the time we met, had an extremely engaging manner and a way of making you feel comfortable. We started out the evening with dinner in a restaurant at downtown Atlanta’s Hyatt Regency hotel, talking about the book and The Beatles and all of the other sorts of things you’d expect a reporter and author to cover in a publicity tour interview. But, by the time we parted company more than 4 hours later, we’d spent quite a bit of time sitting in the hotel bar, chatting about everything from the economy to the differences in British and American food. Pete also kept up a running commentary on the many attractive women who passed by us! Pete’s restaurants eventually evolved into the successful Fatty Arbuckle’s chain of American-style diners all over Britain, which he sold around 2000. But, at the time the book came out, he told me he spent most of his time running a betting shop (gambling is legal in Britain), the very business that Lennon originally had offered to set him up in. Although he said he had not seen Paul McCartney or Ringo Starr in years, he was still in touch with George Harrison, and said he spent the night occasionally at George’s Friar Park estate. Shotton with Lennon during the “Sgt. Pepper” era. During that same time period, two other Lennon volumes — by John’s former girlfriend May Pang and John and Yoko’s tarot card reader, John Green — were attracting quite a bit of attention for some of their warts-and-all tales of the Beatle’s life, and some publications had lumped “John Lennon in My Life” in with those books, which greatly displeased Shotton. Although Pete and John’s relationship grew more distant after the arrival of Yoko Ono on the scene, Shotton particularly disagreed with portrayals of Lennon as being dominated by his wife. 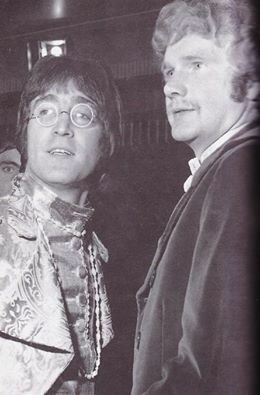 Pete and John together at a 1967 film premiere. However, if Lennon still had been alive, Shotton said, “this book would never have been written. And, may I say by the way, that I could have made a hell of a lot more money out of John while he was alive than I’ll ever make out of this book. It was a conversation with his teenage son that finally made Pete decide to tell his story. 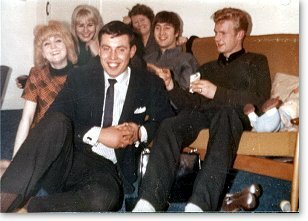 Pete and John relaxing with friends. Pete was at John’s house one night watching television with him and the other Beatles during their Maharishi period, and someone suggested they meditate. Sitting on the couch, they all closed their eyes and did just that. Pete, however, wasn’t really into Transcendental Meditation, and soon grew bored. So, he said, “I opened my eyes.” What he saw was Ringo, also with his eyes open, sitting quietly on the couch watching the TV while the others continued to meditate. Ringo looked over, noticed Pete, and simply winked. That’s one of my favorite Beatles-related images. And my evening with Pete is one of my favorite Beatles-related experiences. That’s why, sad as I am that he has passed on, I have to smile at the mention of Pete Shotton. This entry was posted in Uncategorized and tagged " Apple Corps, Apple Boutique, Beatlefan, George Harrison, John Lennon, John Lennon in My life, Liverpool, Maharishi, Nicholas Schaffner, Paul McCartney, Pete Shotton, Ringo Starr, The Beatles, the Quarrymen, Transcendental Meditation, Yoko Ono. Bookmark the permalink. What great stories of Pete, Bill. Thanks! Bill, thanks for this. It must have been great for Lennon to keep a friend from before he was famous, and all the hanger-ons started invading his life.